Chestnut Mountain’s winter terrain is meant for all ages and skill levels to enjoy. 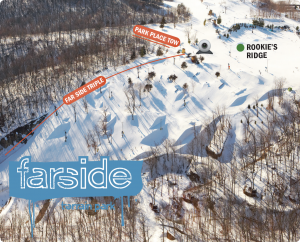 Whether you’re a seasoned snowboarder or a first time skier – you’ll feel at home on our slopes. Our 475-foot vertical drop weaves 3,500 feet through 19 runs, ranging from bunny hills to black diamonds. Take a peek at the slopes before you even get to the mountain! 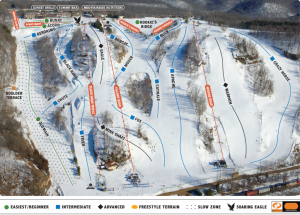 The Slope Terrain Report shows you precisely where our terrain features are currently located. Take a peek at the slopes before you even get to the mountain!